Do you have a few trips up your sleeve this summer? Keeping kids occupied while traveling can be a real challenge, especially when they’re in the 5-10 age group. You want to help keep them occupied, but you’re not sure of what will keep their attention for long periods of time. 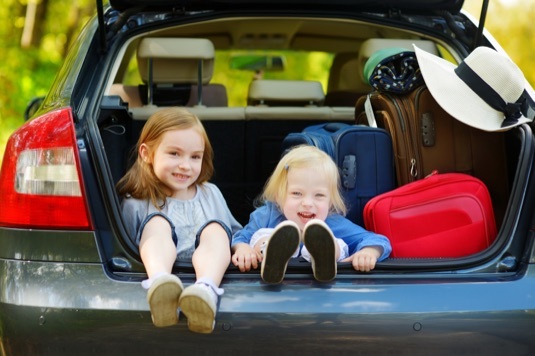 Check out these 7 ways you can keep your younger children occupied while traveling. An extra iPod will really come in handy while traveling with kids in this age group. Grab a pair of earphones that are comfortable for your child and help them pick out a few age appropriate songs. This will help keep them occupied on and off as you travel. Drawing or coloring has a way of keeping kids calm as they travel. You can print out coloring worksheets online and bring them with you, try and find coloring worksheets with their favorite characters! Dollar stores also have a variety of coloring and learning books for kids. If there’s enough room in your vehicle, consider playing card games with your kids as you travel. Go Fish, UNO, and even Solitaire make great card games to help pass the time. There are always tons of car games to be played as you travel with your kids. Try games like “I-Spy” with your kids that are aged between 5 and 10. Kids are a lot of fun at this age and can bring a lot of laughter to a simple car game. The License Plate Game is a fun one that kids in this age group love. For this game you’re supposed to look for the letters of the alphabet on license plates, whoever gets to “Z” first, wins! Sometimes kids are so distracted by what’s going on inside the car that they forget there’s a whole world literally passing them by. Ask your child to look outside and tell you what they see. Perhaps they will see a unique road side attraction or a vehicle that you don’t see every day! If you’re unfamiliar with what a busy bag is, you will love the idea of them. You take basic bags and fill them with items your kids can use when they need occupied. You can create anything from a LEGO bag to a sensory bag, the options are endless. When all else fails and your child needs something to do, it’s time to whip out the smartphone apps. Here are some great app ideas to keep in mind. Toca Boca- Download them all at the iTunes store. Starfall.com– This may not work if you do not have Internet access though. What are some of you favorite ways to keep the kids occupied while traveling?